I realize this blog is becoming a bit more quiet lately, but really there isn't too much news to share... and there is only so much one can say about the current weather - a summary would be "bah"! 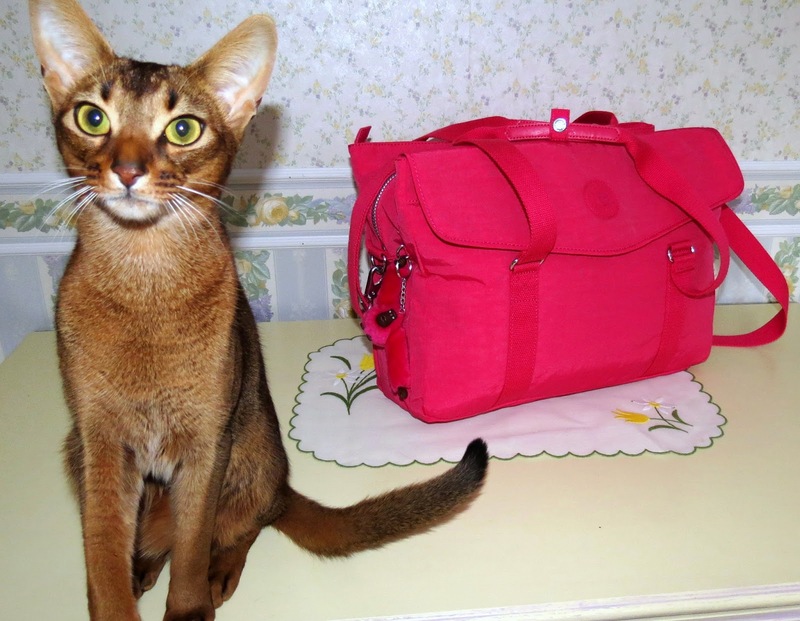 So I thought I might as well brighten up this dreary February afternoon to write something about one of my passions: purses! Not for nothing did Murray start calling me "Bag Lady" soon after we were married... I just can't get enough of them! In 2010, my hobby really took of. It all started because I stumbled across the perfect purse. 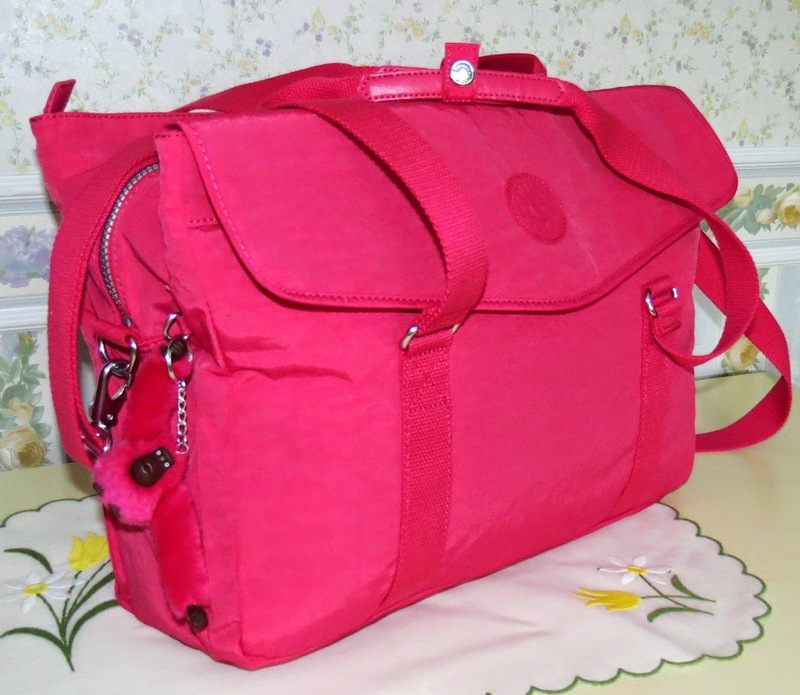 It had everything I wanted in a bag: lightweight, bright, pretty and highly functional with seemingly limitless pockets and space as expandable as Dr Who's TARDIS. 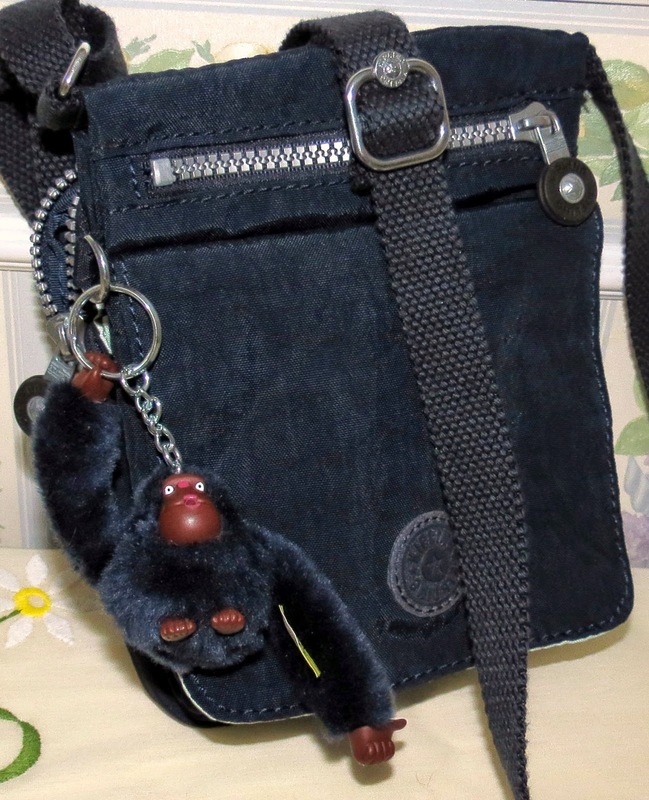 It had the cutest little monkey dangling from one side, the brand, I was to find out: Kipling. 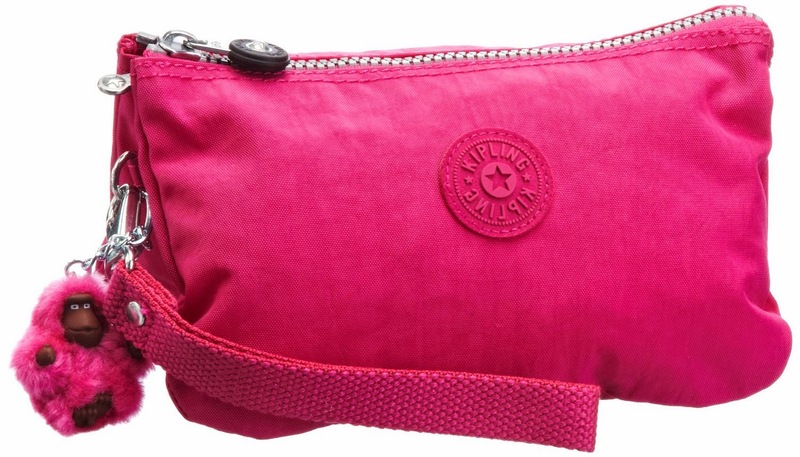 To be specific: Kipling Lancelot in the lovely Pink Ruby color. All Kipling monkeys are named, this posh little furry one is called Isabel, isn't she sweet? 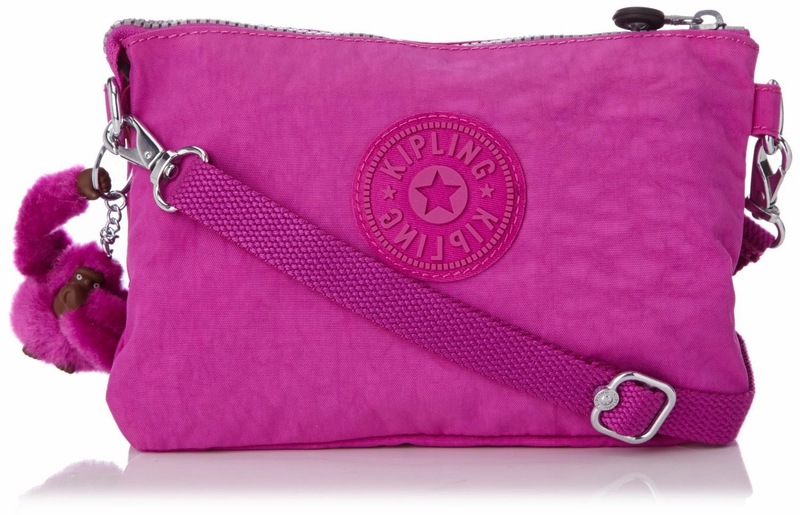 Little did I know what Kipling fans have known for years: Kipling bags are addictive. Once you buy one, you are hooked... and I was... I am - to this day. So far I have added to my collection (not counting the few I sold and the ones my Mom uses, yes loves them too) the Eldorado in True Blue, though it is not a favorite and I don't find myself using it a lot. The monkey is a tough little rascal by the name of Matt. The Reth in Soft Beige has been through the washing machine and several flights & travels and still holds up gorgeously! 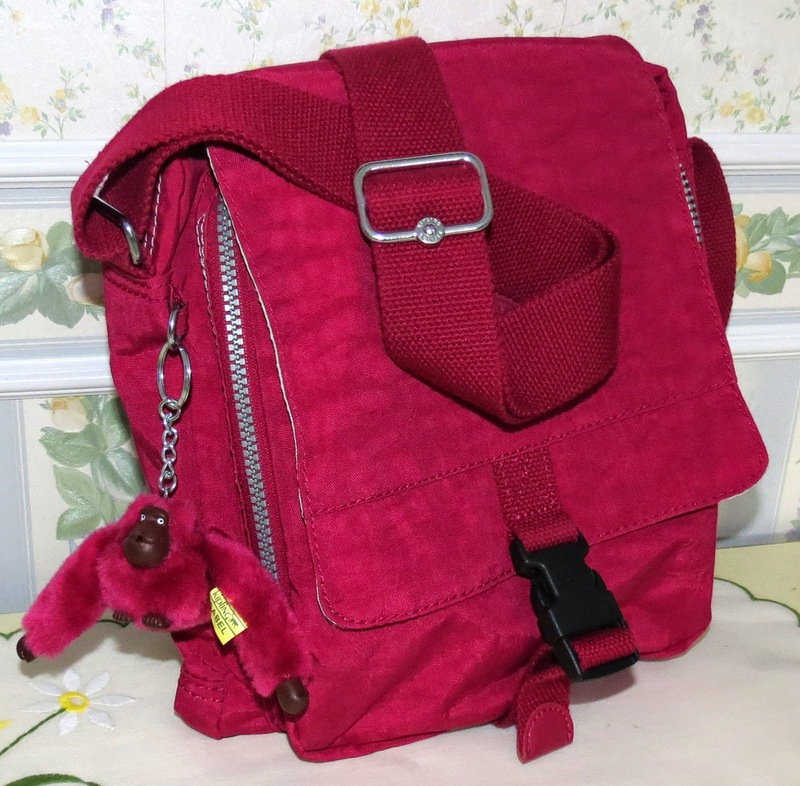 It's my most boring bag though, both color wise and pockets wise, and it's since been semi retired... sorry Zhor monkey, no wonder you look so sad! The New Candy on the other hand, has been my very favorite for walking trips or public transportation - it's yet another tiny TARDIS and I love how it transforms into a backpack in seconds! Love the color too, it's very subtle and is called Lilac Orchid. The monkey is called Thalita, I must say I have never seen it spelled like that before! Everybody's favorite seems to be the Fairfax, and it's no surprise why! 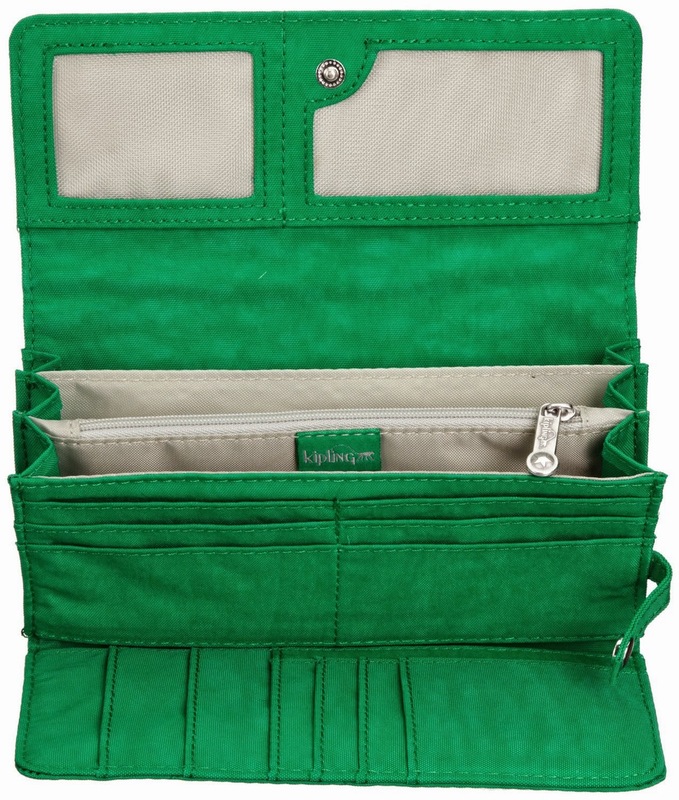 What a lovely bag, not only does it look stunning but it's got every convenience imaginable. I use this to carry my books & magazines to meetings. This version is the Fairfax Large in Mitchell Blue and the monkey is called Courtney. 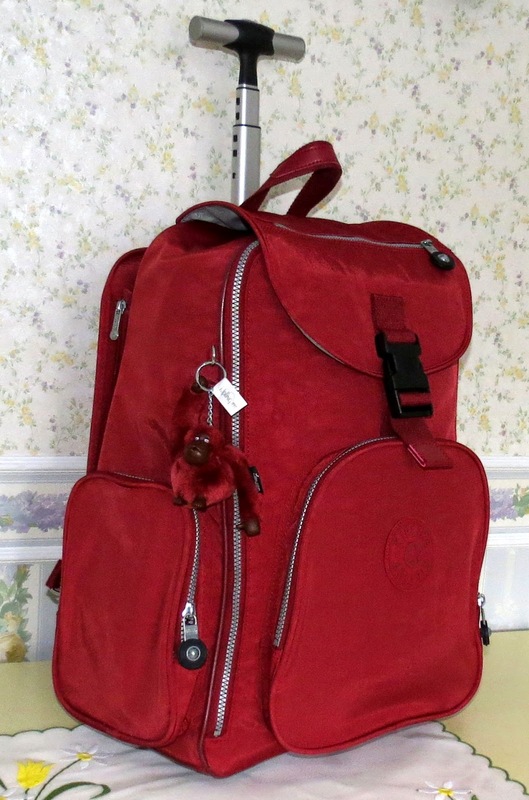 On travels, my Alcatraz II wheeled backpack in Claret Red always receives many compliments. I don't think I've ever put it on the luggage belt without some security officer asking about the monkey... the color seems to brighten everybody's day! The big ape hanging out there looking chill is named Ethan. 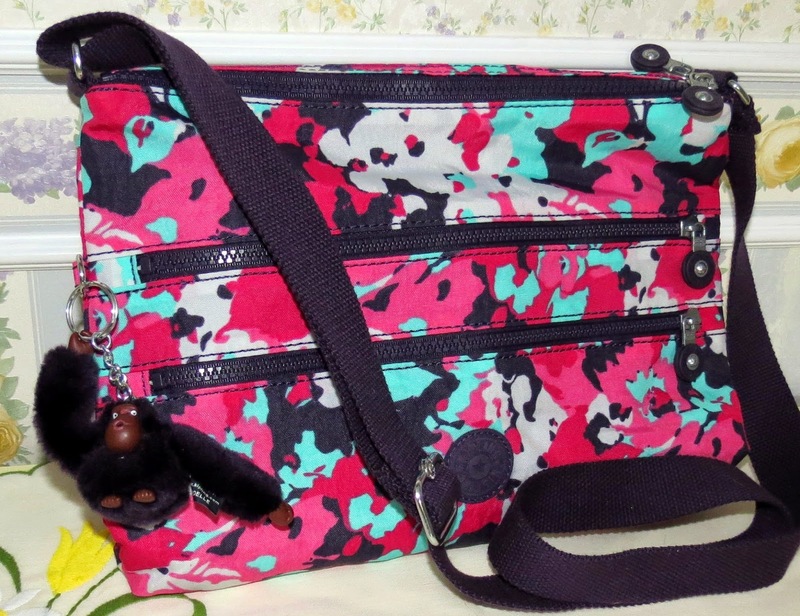 On one of my travels I picked up the Alvar with a cute pattern called Print Flower. 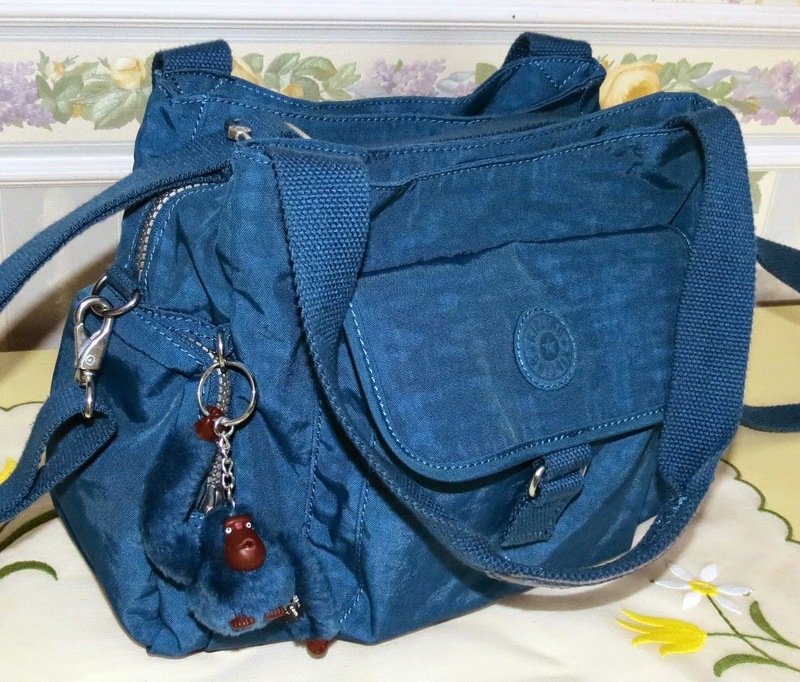 Although it is a very pretty bag, it's not one I find myself using regularly... it is too flat to be truly useful and items get lost in the long, thin pockets. I prefer bags with a carrying handle and a flat base so it doesn't flop down, but I guess it would be perfect for carrying documents though. 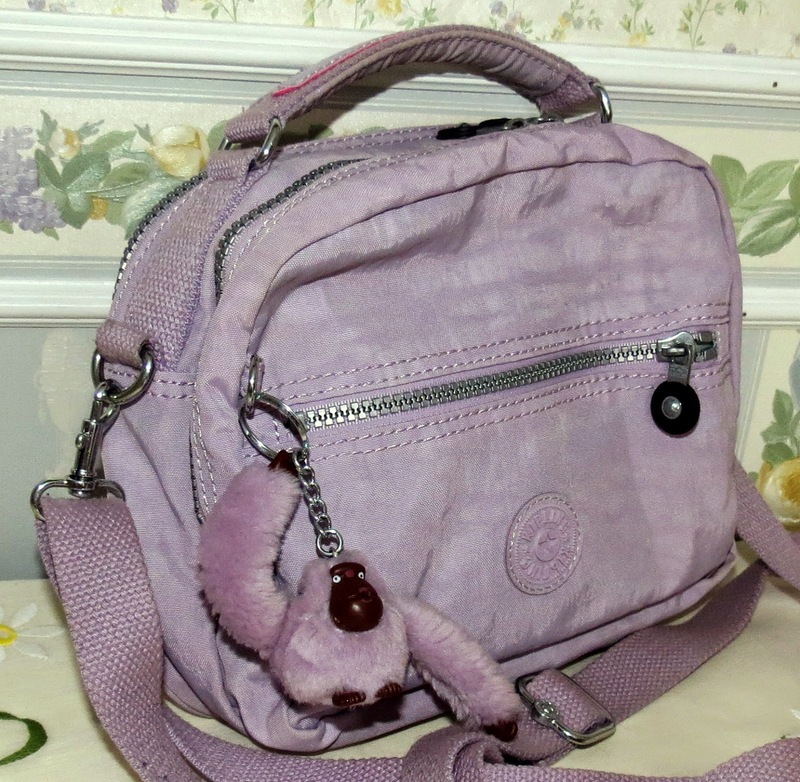 The monkey has a beautiful purple coat and sweet name: Noelle. 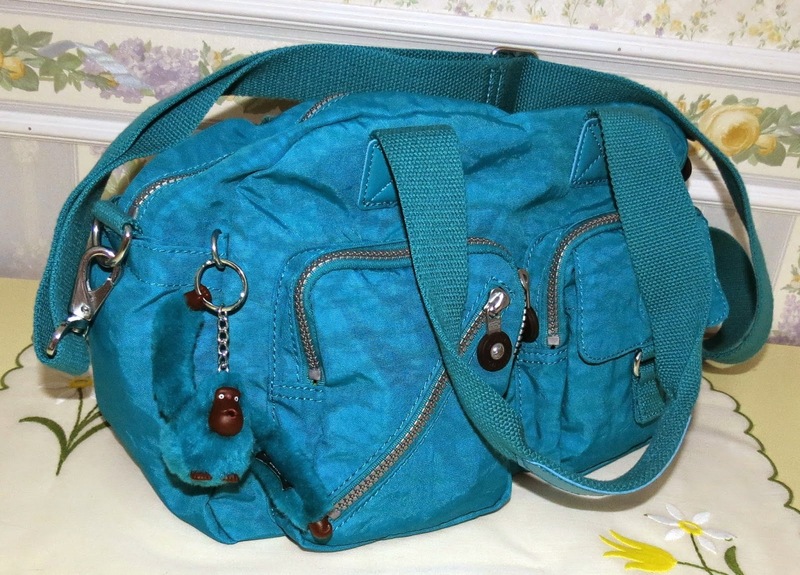 For shopping, I absolutely love the Defea in Turq Blue, it's so spacious and well laid out! It's the bag I use the most at the moment. 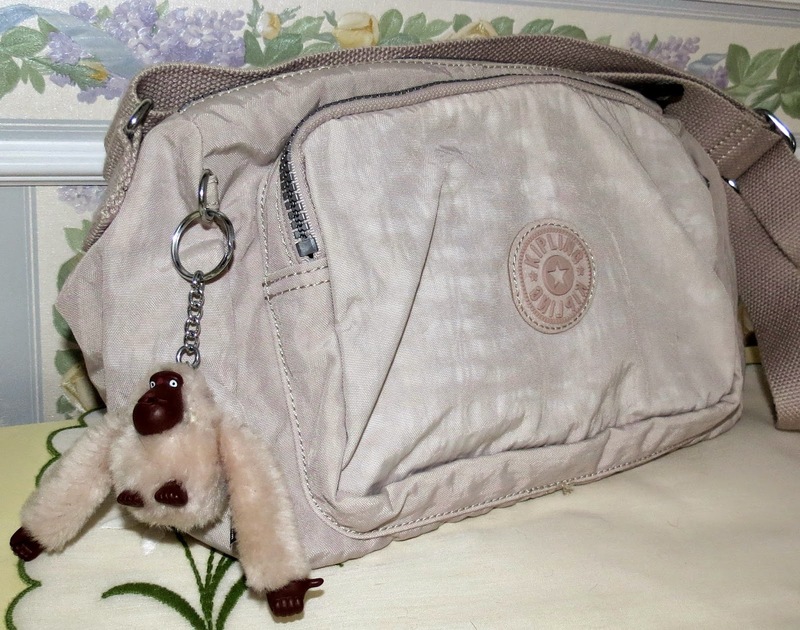 Beau is the name of the monkey and beautiful is the bag. Yes, Leonito! I guess he just wanted to be in the limelight too! This is my current collection, but by no means the end I'm afraid. For one thing, I am in need of a purse and I just can't decide between the Brownie and UKI. 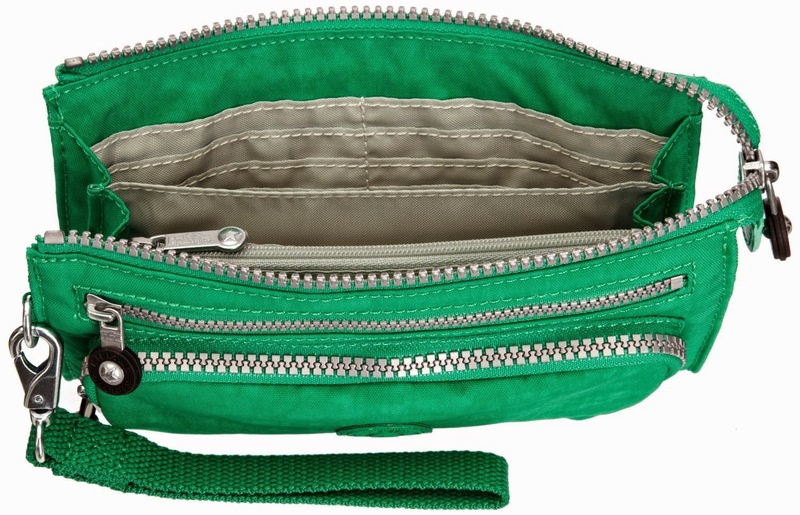 It doesn't help that both come in a cheerful Cactus Green... both are huge, with lots of space for coins, paper money, receipts and passes - so versatile. For my crochet projects, cell chargers, or just as an insert for my larger purses to prevent all my bits and bobs from flying around loose, I'm eyeing up these Creativity pouches. 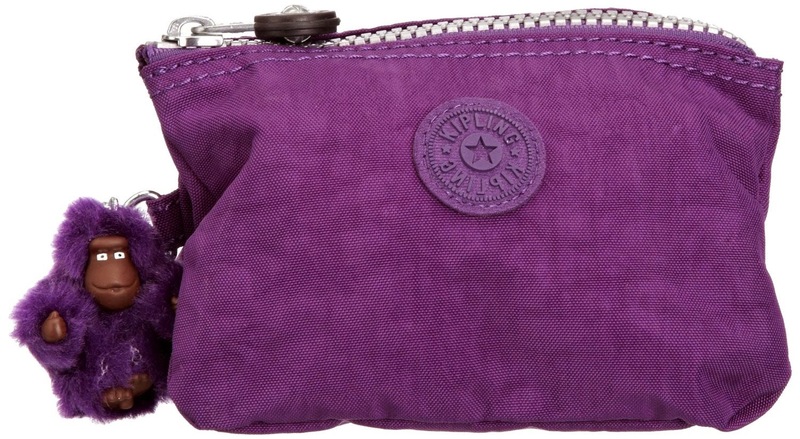 There are so many sizes and colours, but so far I seem to be falling in love with the Brilliant Purple, Very Berry, and Pink Orchid. Did I mention they come in 4 different sizes and formats?